Run for Breast Cancer – Pink Ribbon Run 2016 | JustRunLah! 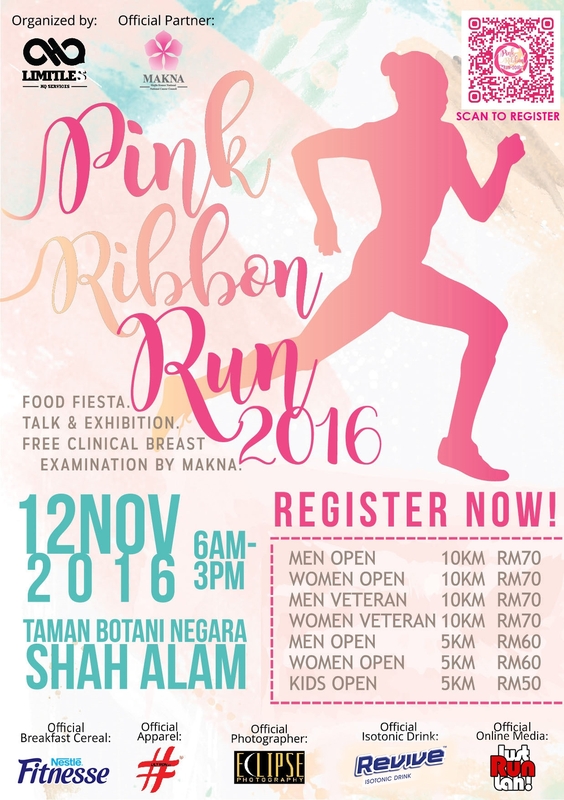 The Pink Ribbon Run 2016 is organized in collaboration with MAKNA (National Cancer Council) with a single aim in mind – to raise the awareness of the Malaysian Community towards Breast Cancer. Come support this motion by joining the Pink Ribbon Run happening on the 12th November 2016! #1 Run for Breast Cancer! Bet you didn’t know that 1 in 20 women in Malaysia is at risk of suffering from breast cancer. Early detection is key to circumventing the painful circumstances of breast cancer. This run aims to do just that – by becoming a platform to allow the Malaysian community to be more aware of breast cancer. Take this run as an opportunity to educate yourself with how to perform breast self-examination. Remember, early detection can save you a heck lot of hassle and even your life. This may sound wrong on so many levels, but, come get your breasts examined by the National Cancer Council. They will be having a free clinical examination down at the Pink Ribbon Run! Bring your family and friends for a day of laughter and fun. 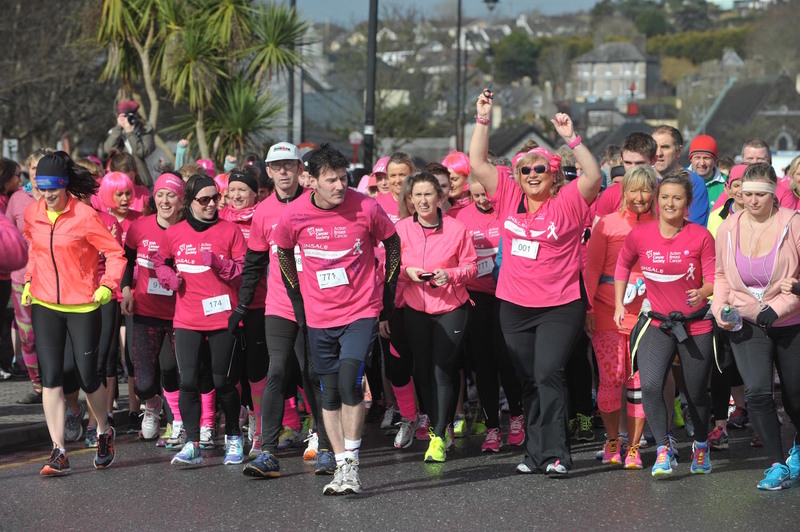 This is a run to raise awareness, a run to celebrate the strong women who have fought breast cancer – applauding the triumphant, and remembering the fallen! To do just that, the Pink Ribbon run is going to keep runners happily stuffed with amazing street food and entertained with many food trucks and vendors. It’s going to be a mini carnival! Come mingle around and meet new friends. These people may have great stories to share! It will be a run to remember! 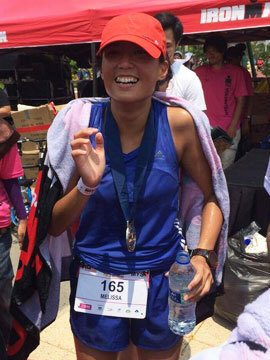 Run you and a friend to Bali! Stand a chance to win a pair of tickets to Bali – the ancient temples, the magnificent beaches, the adrenaline-rush surfing, who wouldn’t want to travel to Bali. More the reason to join the Pink Ribbon Run! Not able to make it for the run? No fear – you can still show your support by registering for the virtual run. Run along your favourite running route, clock the distance of 5km or 10km, send proof of run (garminconnect, runkeeper, fitbit etc.) before 11am of the 12th November, and voila, you are officially a finisher of the Pink Ribbon Run 2016. Might I add you would also have ran for one of the greatest causes. Click here to find our more about the Virtual Run. It’s going to be as though you are there, but not there!